The celebration was starting to die down as the Leviathan had to take on “Holy Name of Jesus” Church in the second game of their doubleheader on Tuesday night. 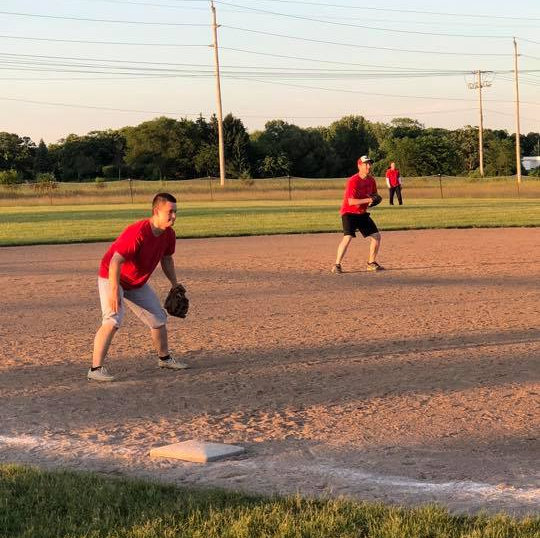 The game started on a high note as the guys jumped out to a 5-1 lead after 2 innings, but the crew from “Holy Name…” put up 8 runs in the 3rd and 6 runs in the 4th to take a 15-6 lead. All hope was not lost though, thanks to the unbelievable hitting of Josh Watson. Josh just arrived home from Africa earlier that day, and was running on Malawian fumes. Josh blasted 3 homers and nearly missed what would have been a record-setting 4th bomb. Josh helped the guys climb back into the game as the Leviathan outscored “Holy Name” 9-1 in the final 3 innings to just come up short. Josh hit a homer in the 7th and Brian Zastrow hit a 2 run homer with 2 outs in the 7th to cut the lead to one run. But that was all the guys could get, as they were handed their first loss of the season on the last day of the regular season…the same thing happened last year! There were many offensive heroes for the Leviathan but they were all led by shortstop Josh Watson who belted 3 home runs on the night and drove in 6 runs and scored 3 runs. Noah Jeanson also had a big night (2-4, HR, 3B, 3R, 2RBI), Luke Dye (2-3, HR), Brian Zastrow (3-4, HR, 3B, R, 2RBI), Adam Andrus (3-4, 3R, RBI). 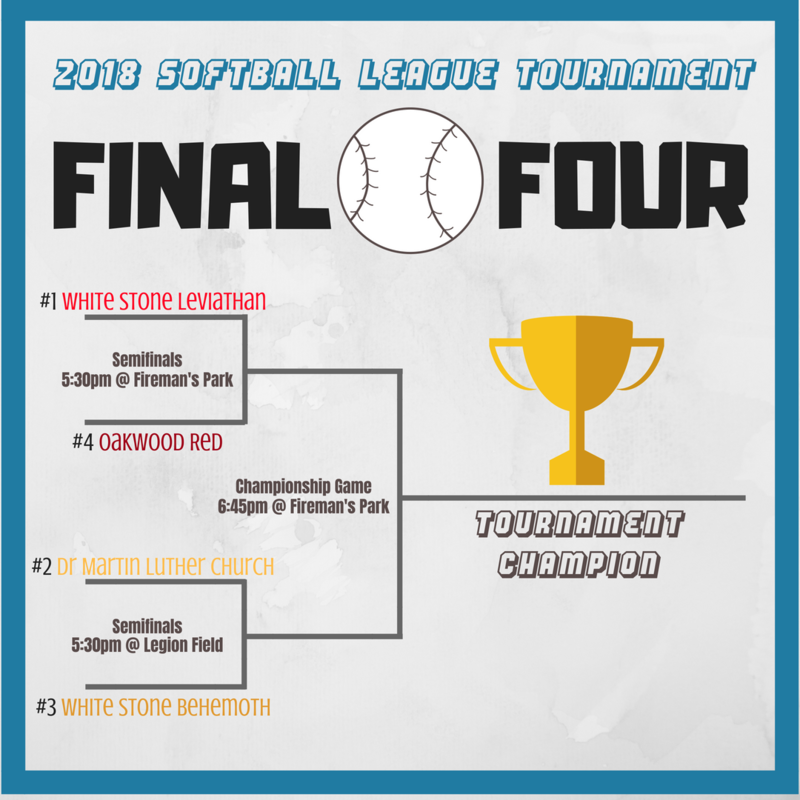 The guys finish the regular season with a record of 8-1 and look to get back on track in the League Tournament as the #1 seed as they have a 1st round bye and will meet the winner of Divine Redeemer/Holy Name at the YMCA @6:45pm (8/7). 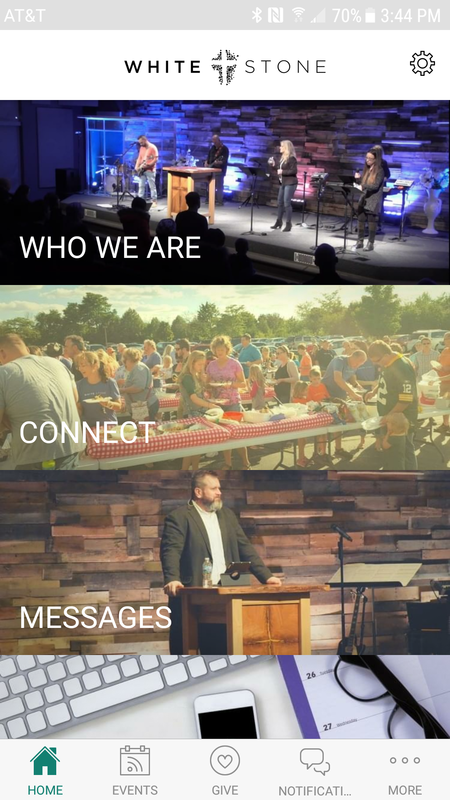 It was finally time for the undefeated Leviathan to take on the one-loss Dr Martin Luther Church. A matchup between the first and second place teams in the league standings. A win meant a League title for one of the teams. 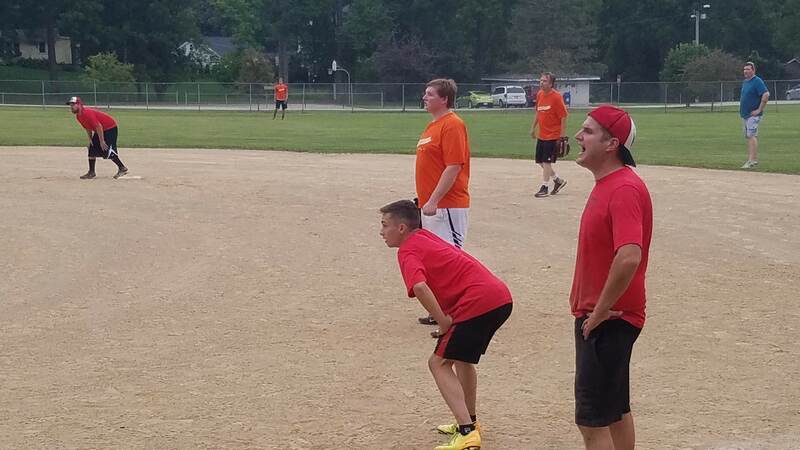 With everything to gain, the two teams battled for 7 innings and the Leviathan prevailed by a score of 7-4. 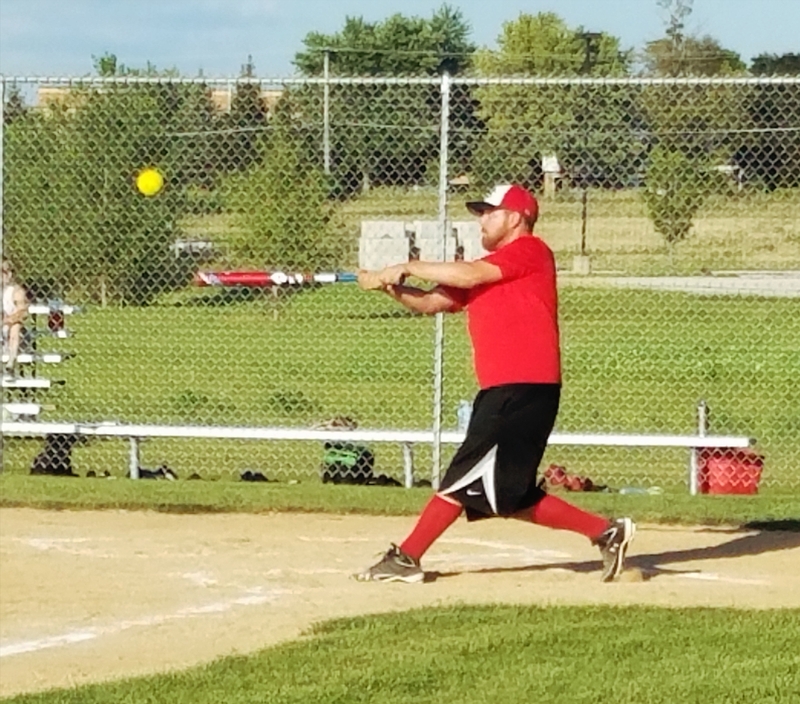 It was certainly a defensive struggle, as neither team could come up with a big breakout inning. The score was tied at 2 after one inning, and then DMLC jumped out to a 4-2 lead after 2 before the guys in red tied it up 4-4 in the 3rd inning. The Leviathan then went on to score the next 3 runs and never looked back as they captured their 2nd straight regular-season crown and secured the #1 overall seed in the conference tournament. Besides the strong pitching by Adam Andrus and the rock-solid Leviathan defense, the team had some offensive team leaders on the night: Josh Watson led the team with 3 hits (3-3, 2R) and Noah Jeanson crushed a ball over the left-center field fence (2-3, HR, R, 2RBI). Josh and Noah were surprisingly the only 2 players to have a multiple hit game. 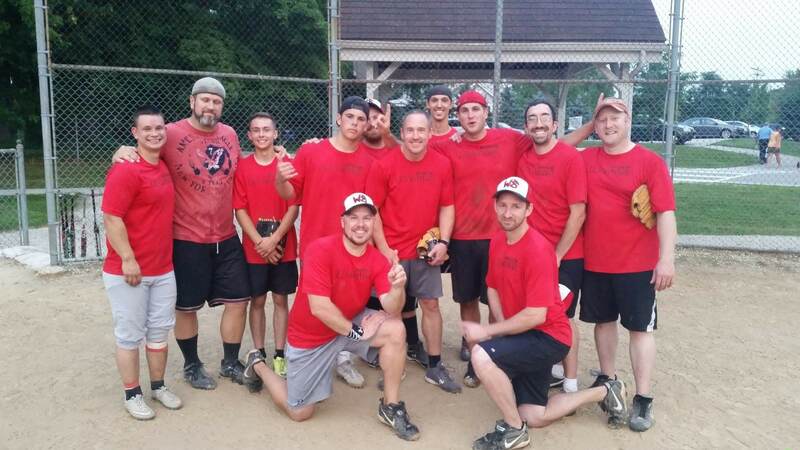 The Leviathan are now 8-0 on the year and have won the League title for a second straight year while earning the #1 seed in the League Tourney. DMLC falls to 7-2 but remains the #2 seed in the League Tournament. 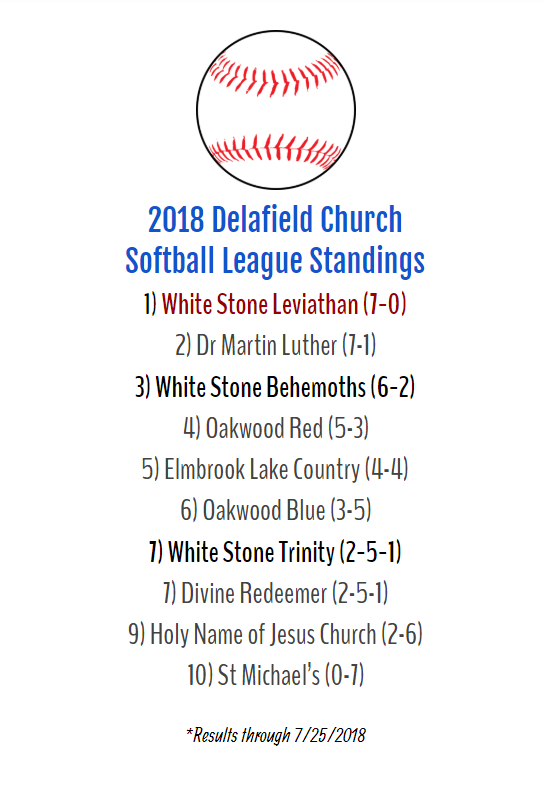 There was a shakeup in the League Standings as the White Stone Behemoths fell to Dr Martin Luther Church last night. The big win means that DMLC now takes over in 2nd place in the league and it sets up an epic last week of the season as the 1st place Leviathan take on Dr Martin Luther Church on July 31st @ 6pm at the YMCA. The winner of that game will be the regular season league champion and earn the #1 overall seed in the league tournament. 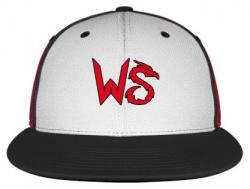 White Stone look to repeat as regular season champs after last year’s historical regular season.